Huge Play Ground For Sports. 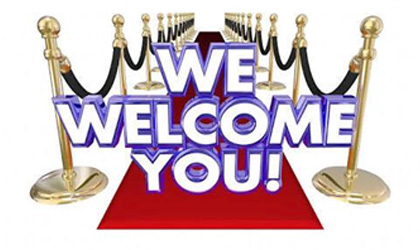 We the NEW SUNRISE SCHOOL welcome back all the students and staff on Monday 11th June 2018.A special welcome goes out to all our new students, and also a warm welcome to all new staff members who have joined us for this academic year. Enjoy each day and know that you are surrounded by support. Try your best in everything you do, stay positive, have fun, and keep smiling! You’ll do great! May the magic of this Eid bring lots of happiness in your life. May Allah's blessings be with you always and may this special day bring peace, happiness and prosperity to everyone. Eid Mubarak! 24th July 2018 – MENHDI COMPETITION. 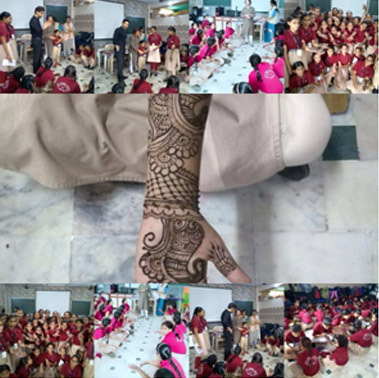 Today at New sunrise school we had organized mehndi competition for girls from grade 4th to 9th. Nazneen Mansuri bagged first prize, Namira shaikh got second prize, third prize was given to Krishan kahar and consolation price was given to Mirja Ishrat. Apart from this all the participants were given gifts for taking part in the competition. We had a very special guest to declare and give away prize to winners, the guest was none other than a girl child from Std 1 (Eng Med) named Khayati Panda. In all had a innovative, creative as well decorative day at school. 30th July 2018 – INNOVATIVE TEACHING. Innovative teaching is the process of leading to creative learning, by implementing new methods, tools and contents that can benefit kids and their creative potential. 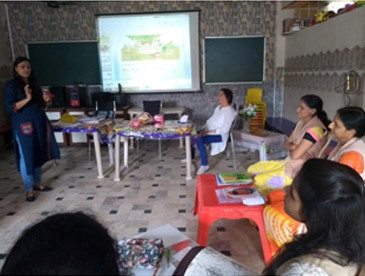 NEW SUNRISE SCHOOL conducted a workshop on Innovative Teaching Methods and on Multiple Intelligences for their KG section educators/ Teachers. It was a fruitful workshop with the resource person Ms.SEJAL CHHADVA. We really appreciate her willingness, extra effort and thank her for dedicating her time and energy. 11th Aug 2018 –TREE PLANTATION. 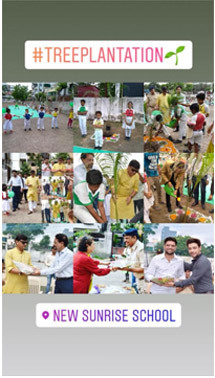 Tree plantation program was held in our school which was actively participated by the kids and staff members. Trees in school yard improve air quality and can reduce temperatures in warm climates, They provide shade in hot temperatures and new signs of life. They are a small environmental investment that will pay dividends for decades to come. In the process kids learnt the importance of plantation and have also taken pledged to take care of these and watch them grow. Launching ceremony for the tree plantation was graced by shri Shailesh Mehta (MLA Gujarat) Dysp shri D. Bamaniya, Trusteee & Managing Director BPS & SSV Mr. Dhrumil Mehta and Mr. Himanshu Panday father of star cricketers Krunal pandya & Hardik Panday. 15th AUG 2018 – INDEPENDENCE DAY. 22 th AUG 2018 KERELA RELIEF FUND. Kerala is fighting to get back on its feet as it battles rain and floods. In the face of a massive national calamity, at least 400 or more people have died and over two lakh people have been displaced and left homeless. We are helping them and so you can help too-- Remember that no amount is too large or too small 👉Here's how you can contribute. pay through PAYTM . 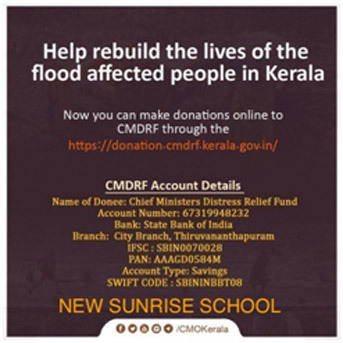 Click on the link https://paytm.com/helpinghand Or 👇 also please share the post to get maximum help for Kerala. 25th AUG – RAKSHA BANDHAN. 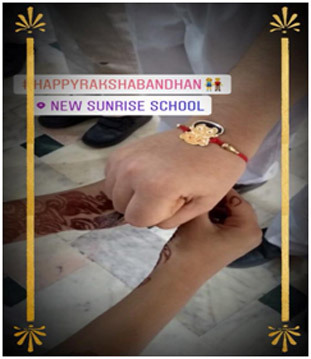 The festival of Raksha Bandhan was celebrated today in our school. 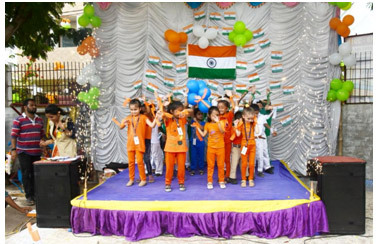 Children were taught the value of this auspicious festival by presenting several programs. This festival is dedicated to brothers and sisters and we at New sunrise school celebrated this bond of affection with great enthusiasm. We wish you all a very Happy Raksha Bandhan. 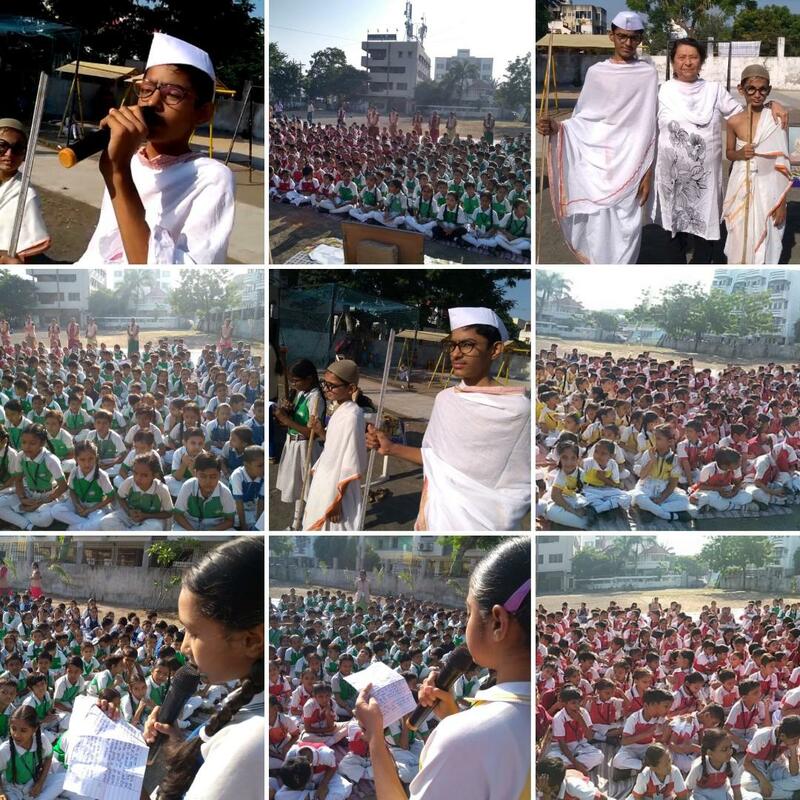 Gandhi Jayanti was celebrated with great zeal and enthusiasm in New sunrise School. It is a national festival celebrated in India to mark the occasion of the birthday of Mohandas Karamchand Gandhi. 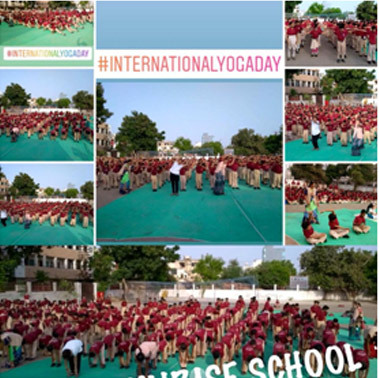 It is celebrated on 2nd October and being a national holiday we at New sunrise school celebrated it on 29th sept 2018. The students showed through the skit how Gandhi Ji’s teaching is still relevant in our lives. The assembly was finally concluded with the National Anthem. The day ended with a thought in everybody’s mind that cleanliness is next to godliness and service to mankind is the first step towards reaching it. NOV 14 Children’s Day is celebrated on November 14 in India as a tribute to former prime minister Jawaharlal Nehru, who was born on November 14, 1889. He, due to his love for children, was fondly known as Chacha Nehru. Children spread joy and happiness in every season, As they are most beautiful creation of God, they spread fragrance of love wherever they go. 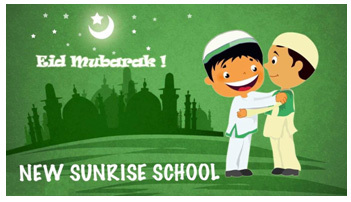 NEW SUNRISE SCHOOL WISHES YOU ALL A VERY HAPPY CHILDREN'S DAY ! DEC 8 WORKSHOP ON FAILURE, EFFORTS, SUCCESS CONDUCTED BY ACTOR VATSAL SHETH. ALSO JOINED BY ACTOR DILLZAN AND OUR MD MR. RUSSY WADIA. The starboard project team visited New Sunrise School on Studnts learnt and enjoyed the workshop and are thankful to Mr. VATSAL SHETH and THE STAR BOARD PROJECT.